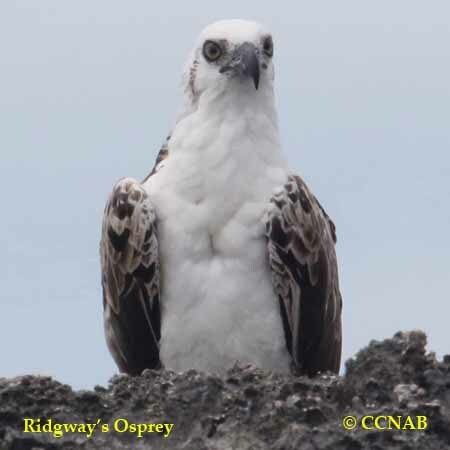 The Ridgway's Osprey is another race or sub-species of the Osprey seen on the North American continent. 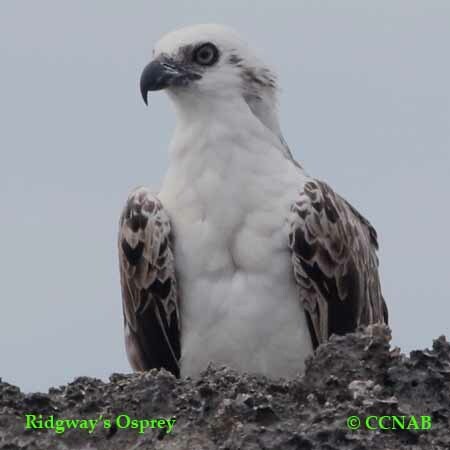 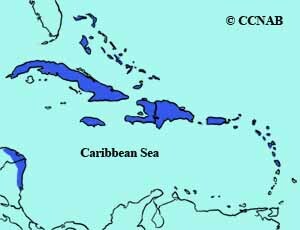 This Caribbean species is distinguished by its white head and breast , especially in the face. 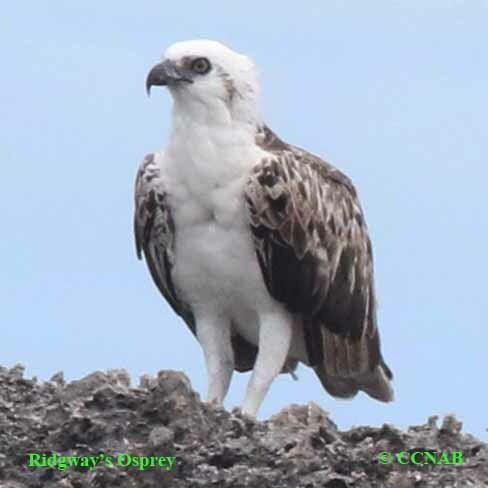 It is seen along the coastlines of the islands, where it mainly feeds on salt water fish.